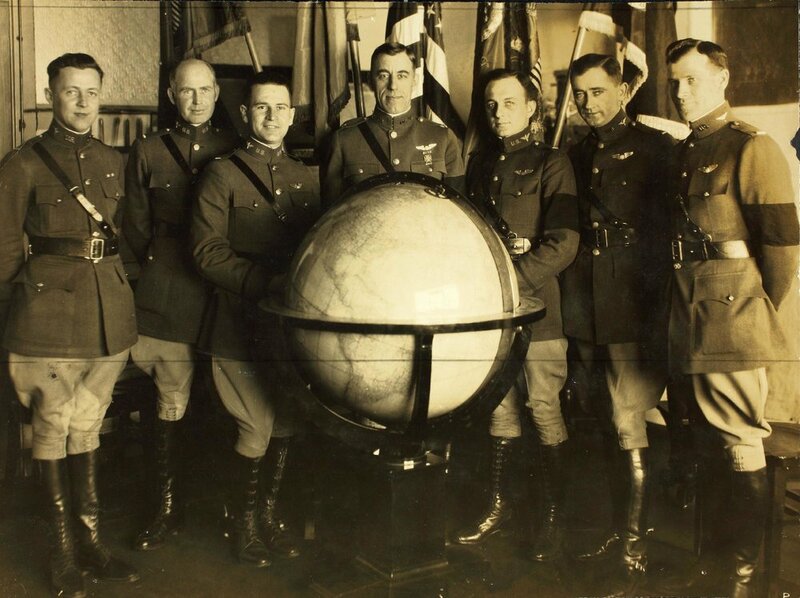 The World Flight Crews (Left to Right): Lt. Jack Harding, Lt. Erik Nelson, Lt. Leigh Wade, Maj. Frederick Martin,Lt. Lowell Smith, First Lt. Leslie Arnold and Lt. Le Clair Smith. They are wearing black arm bands in honor of former U.S. president Woodrow Wilson, who had recently passed away. In observance of the 95th anniversary of the Douglas World Cruisers we are providing year to date information of the 1924 world flight as it progressed around the globe. The info provided here is based on, and courtesy of the National Museum of the United States Air Force’s 1999 celebration of the 75th anniversary of the World Flight. Rather than present facts and figures, we've tried to make the story more enjoyable by serializing it into a daily newspaper-style format using the facts within the stories themselves. In many cases, the actual reports written by the world flyer's themselves have been only slightly altered from the original to change them to present tense to match the daily format. Events reported in the World Flight Chronicle are true and drawn from primary and secondary sources and cited where appropriate. Historical fictionalization of stories is done purely to enhance readability. World Flight Chronicle is a fictitious newspaper-style web document designed to add interest to the events surrounding the first round-the-world flight in 1924, any similarity to an actual newspaper or newsletter is purely coincidental. 23 April - World Flight ready to proceed. Awaiting arrival of "Seattle"
22 April - Engine Changes Complete on "Seattle" and "Boston"
15 April - THE SEATTLE IS MISSING! 6 April - World Flight Begins!